I am feeling very doubtful about myself as a dancer. I love dancing more than words can describe and I need to do it in my life, but I look at dancers in the Prix de Lausanne and the RB School etc and think "i want to be like that, I am not good enough though'. I think my only strong point as a dancer is my performance skills, dancing in general and strength. I feel as if these things just arent as important in the dance world anymore. It seems as if companies/schools are just expecting, yes, great talent but on top of that, very arched feet, flexibility, breathtaking turnout and in some cases, certain body types. I just feel that with my not so arched feet, not too great flexibility and pretty bad turnout, I am going to really struggle. Also, I feel as if my time is running out to achieve my dreams. I will not give up but damn, no one knows how hard it is to become the best dancer you can be!!!! 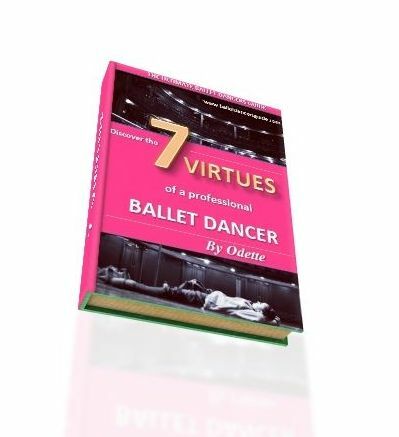 To:- Career Development Plan - Doubt that ballet dancers face? you back and build up the positive thoughts to achieve all you are capable of. As a dancer, I can relate exactly how you are feeling. All through my time to make it as a professional, it was very easy to doubt myself and see the competition of other dancers to make me not feel good enough. Yet even as a professional, I see dancers now who amaze me and I feel in awe of how they can even get that good. But you know what? I still made it as a professional and many others have too, without being the most flash or having the impressive technique. You can look at others, acknowledge their great talent, but know in yourself you have made it this far. In fact, I bet you are at a stage right now where even younger dancers admire or think you are amazing. All you can do is keep working your hardest and not be put off by how you think you should be or how much better others are. Yes, there is a huge world of competition full of talented dancers but you must never forget you are just as worthy in the field of dancers there are. You know in yourself that you won't give up, so use that determination to spur you on. Make sure you are in the right circumstances with the right teachers to make your ambitions happen. You have to work with the facility you have and keep believing in yourself. Comments for Career Development Plan - Doubt that ballet dancers face? You are truly inspirational, thank you so much! You know exactly what I am going through.